By Alistair Reign, April 19, 2016. Extended version of the online petition. Read this little angel’s story, click here. This petition was started by myself, Alistair Reign, and I am calling on all of my readers, from every country, to add your voice to this important campaign, asking Canadian Prime Minister Trudeau to stop Canada from contributing to Saudi’s war crimes on the Yemeni civilians; where women and children remain the majority killed by airstrikes and sniper shells. This article is an expanded version of the online petition, to the benefit that I could add photos and additional information – but you must click on the link below to sign petition on the Change website. Go sign this Petition ⛔ Stop the sale of military equipment to Saudi Arabia. The Honourable MP Elizabeth May, Leader of the Green Party of Canada has lent her support to our petition: Read Her letter in the News section. The petition reads as follows. The Liberal government continued to defend Canada’s $15-billion sale of “light-armoured” vehicles to Saudi Arabia as “a matter of principle,” just as a new report highlighting the U.S government’s concerns with widespread human rights violations in Saudi Arabia was released. in order to stand by our word as a member of the United Nations to uphold the UN Charter’s Rules of War – and that is the promise we need to keep to regain respect from the international community – not selling military equipment to Saudis for cash. Prime Minister, Your Right Honourable Justin Trudeau, I have been a great supporter of your campaign, and so proud of your new policy of opening Canada’s doors and minds. Please do not tarnish our new found pride in our country – as humanitarians. Our word as a nation will not be left in doubt – that agreement was made by the previous government, and the Saudi’s blatant crimes against humanity, including the slaughtering of women and children in Yemen warrants a reconsideration. 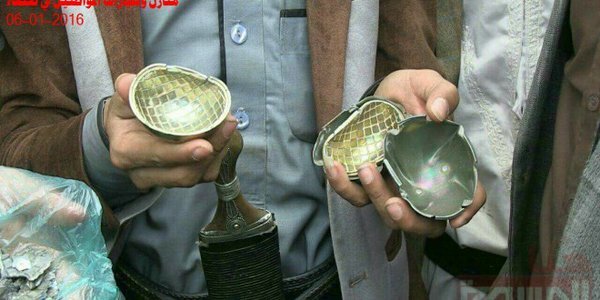 Internationally banned US-made cluster bombs used in a crowded market in Sana’a, Yemen, killing many January 6,2016. (Photo: Source). What will be left in doubt is our word as diplomatic members of society, and defender of the United Nations Charter of Rights – which includes rules of war. What will be left in doubt is “our word” as diplomatic members of society, and defenders of the UN Charter of Rights – which includes rules of war. Please Sir, stand up to your word you gave to your own people 🍁 Canadians, and do not make us, as a country, participant in Saudi war crimes with the sale of armoured military vehicles to aid in their inhumane genocide of the Yemenis. Father and son were injured in the airstrike explosions filmed in the video above 2016. (Photo: Your Ability). 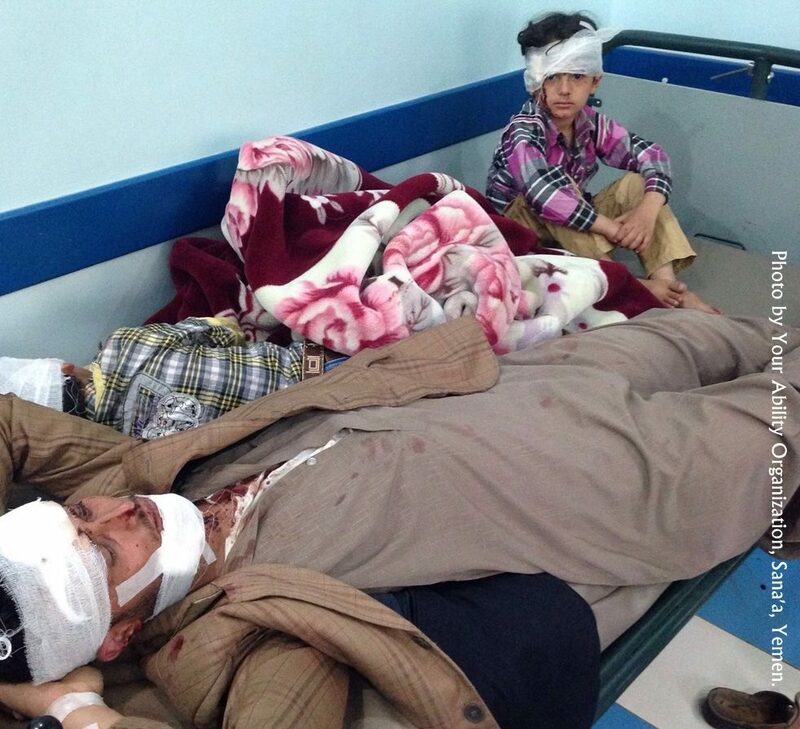 The video and photo are of a father and son who were injured in the bombing caught on camera by the “Your Ability” staff, who filmed this footage from the front of their own building (Which has been converted into an orphanage since the attack on Yemen last March 2015), in Sana’a in February 2016). Respectfully Your Honourable Prime Minister Sir, there is no such thing as a harmless “light-armoured” military vehicle that cannot kill. 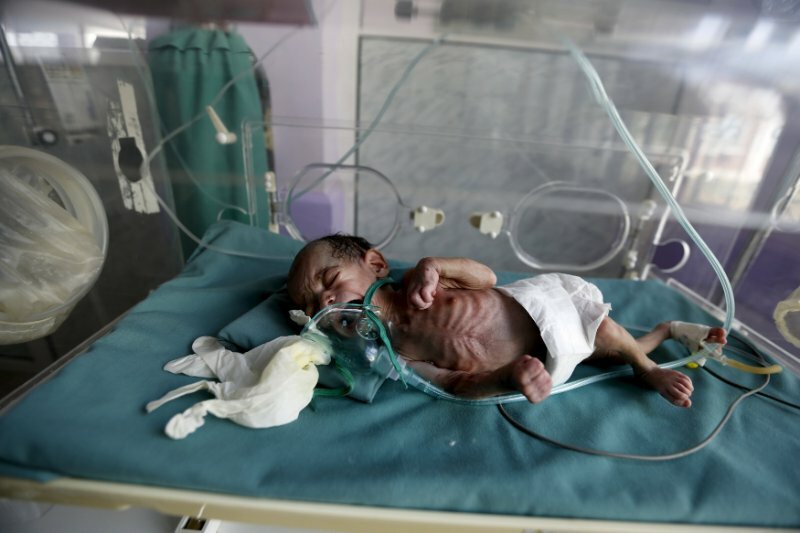 The slow, agonizing death of starvation – an infant receives critical hospital care in a nourishing department in Sana’a, Yemen 2016. (Photo: Your Ability). Your Right Honourable Prime Minister Trudeau, I ask you to please read the following two reports linked at the bottom. 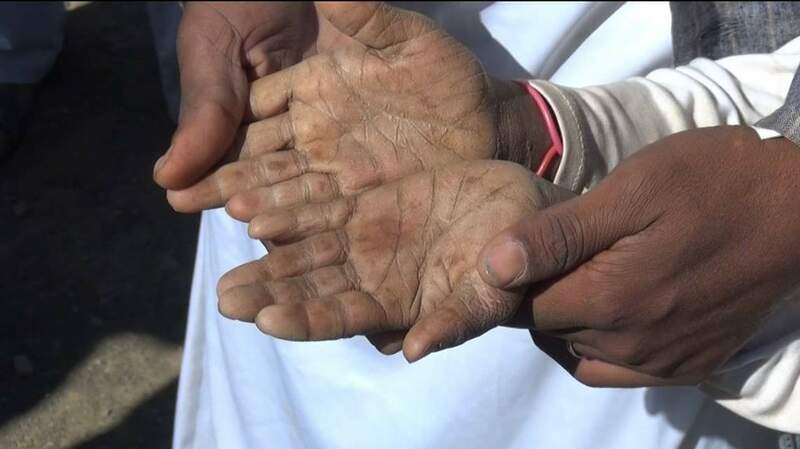 I have written several articles on the dire humanitarian crisis in Yemen – that is unnecessarily exasperated by Saudi Arabia’s blockade on any supplies or medical aid. I receive my statistics, interviews, video and photos direct from the doctors and humanitarian workers inside Yemen; who incidentally are desperately trying to save the children who the Saudis are trying to kill. That blockade on humanitarian aid alone should convince you, Prime Minister Trudeau Sir, that Saudi Arabia is not abiding the rules of war. *Report One: Yemeni Children – Victimized By War, Exploitation. Disease. 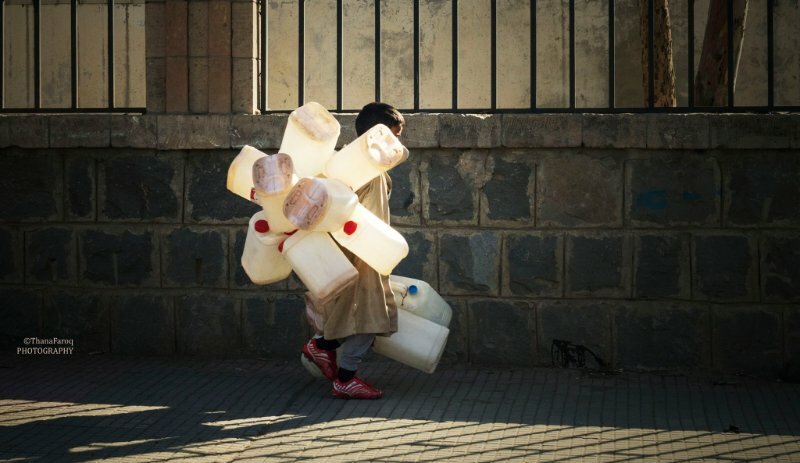 I have been told from several sources in Yemen that a child as young as five-years-old will be sent out alone on an arduous search for gas and water, putting them at risk and vulnerable to many obstacles and crimes against children – including abductions, abuse, exploitation, and even burning of the child’s body 2015. 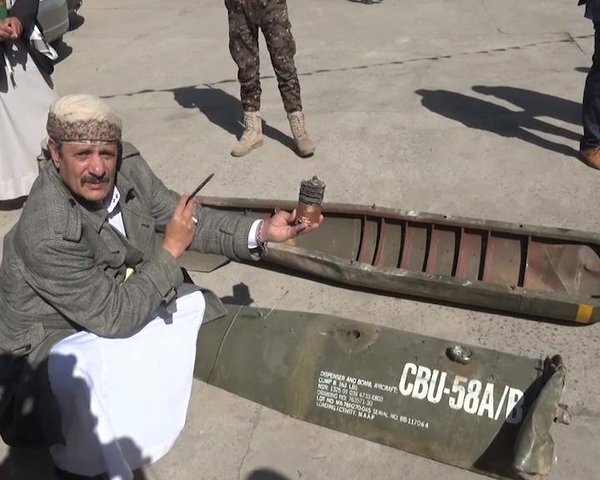 **Report Two: Yemen – Who Is Protecting The Orphans? No amount of money is worth the continued suffering of the Yemeni people. If you took the time to read this, please add your voice and sign the petition. This page is a mirror of the online petition, however I am able to add photos and additional information here – but you must click on the link above to sign petition on the Change website. Blogs, media and journalists are welcome to reblog this page in full or part. I only ask that you keep the links to the petition page on Change.org, and send me a quick message in the comment box below with a link to where it’s posted. Thank you.